The Holiday Inn & Suites Beaumont Plaza will be the site of this month’s Southeast Texas wedding vendor networking mixer, “Wine & Weddings“. This is a free networking event for wedding vendors from the Golden Triangle: Jefferson County, Hardin County, Tyler County, Chambers County, Jasper County, Orange County, Angelina County, Nacogcoches County, and the Houston area. Complimentary wine & appetizers will be provided by the Holiday Inn & Suites Beaumont Plaza. Are you considering being a vendor at the Beaumont Bridal Fair? This will be your chance to take a look at the space and plan ideas for your booth. 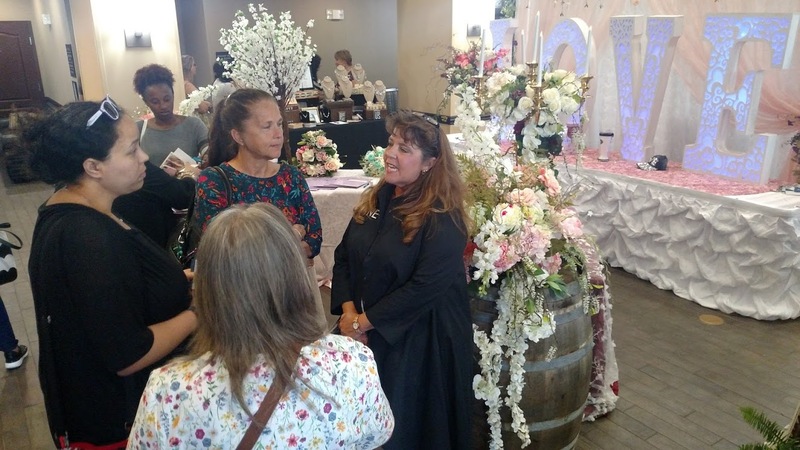 What makes The Beaumont Bridal Fair Special? The event is designed to help you lock down SETX brides. Areas are set up where you can compare dates with brides and sign contracts. We help you get quality time with brides. We don’t want brides to see you. We want them to talk with you, to share their vision, to hear how you can help them bring their wedding to life. We design Southeast Texas Bridal Fair Series events to ensure these conversations happen. We help you truly showcase your products and servcies. Bartenders: show off your signature drinks all day long – and help Golden Triangle brides find theirs. Click here for our Beaumont Bridal Fair vendor registration page.